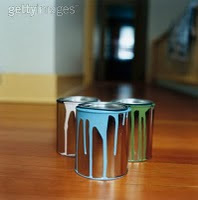 For decades, people had to deal with messy paint cans that were hard to open and use. In 2002, Dutch Boy finally introduced a new Twist & Pour container that made painting a whole lot easier. Because of the new packaging, Dutch Boy won big. In spite of success stories like this, major brands still insist on packaging its products in inefficient ways. One glaring example is spaghetti sauce. Prego, Ragu, and others still use either glass or hard plastic bottles. There are several reasons why this is a problem. These three problems could be averted by using a resealable pouch container to package the sauce. It would need to be strong enough to stand up on a store shelf, but thin and collapsible in order to reduce waste and to facilitate use of the entire product. Additionally, the pouch could be placed in a pot of boiling water (which you'll already have for the spaghetti), heating it and sparing you the use of a saucepan. This type of packaging is already in use in Japan and some other countries. I'm not sure why the U.S. hasn't picked up on it, but that issue isn't something a little consumer awareness couldn't fix. With a growing emphasis on "green" and the constant need for consumer ease, this could be a big win for the world of spaghetti. For now, it's a huge missed opportunity. On a side note, A year or two ago I submitted this idea to Campbell's, maker of Prego. Apparently they don't share my enthusiasm. Just wait, within the next five years we will see this happen. If Campbell's doesn't pick up on it, someone else will.